Katherine Butler is a Clinical Specialist in Hand Therapy. She has held several posts within the NHS and private hospitals establishing and leading Hand Therapy units. Katherine has been working in the area of Hand Therapy since 1995. 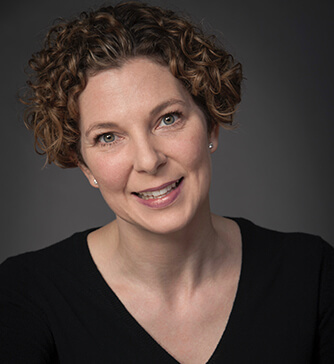 She moved to London in 1998 when she received the highly prestigious Queen’s Trust Award Australia to study and work in the area of performing arts medicine. Her clinical experience has focused on plastic and orthopaedic surgery patients with hand and upper limb injuries, burns, and rheumatological conditions. She has lectured and published widely and is currently performing doctoral research in the area of task specific dystonia affecting musicians. Katherine’s main areas of interest are hypermobility, musicians’ injuries and task specific dystonia. As a trained flautist herself, Katherine has gained valuable insight into the life and pressures facing musicians. Katherine enjoys combining her love of music with her clinical knowledge of the hand and upper limb and has earned a strong reputation as a leading specialist in performing arts medicine. Katherine holds appointments at University College London as an Honorary Lecturer and at Plymouth University as an Honorary Associate Professor. Katherine gained her Accredited Hand Therapist award in 2003 and in 2013 she was awarded the esteemed Natalie Barr Award by the British Association of Hand Therapist for her achievements in hand therapy. In November 2018 Katherine was granted Practising Privileges by King Edward VII’s Hospital – Marylebone, where she carries out her private practice as part of London Orthopaedic Clinic.